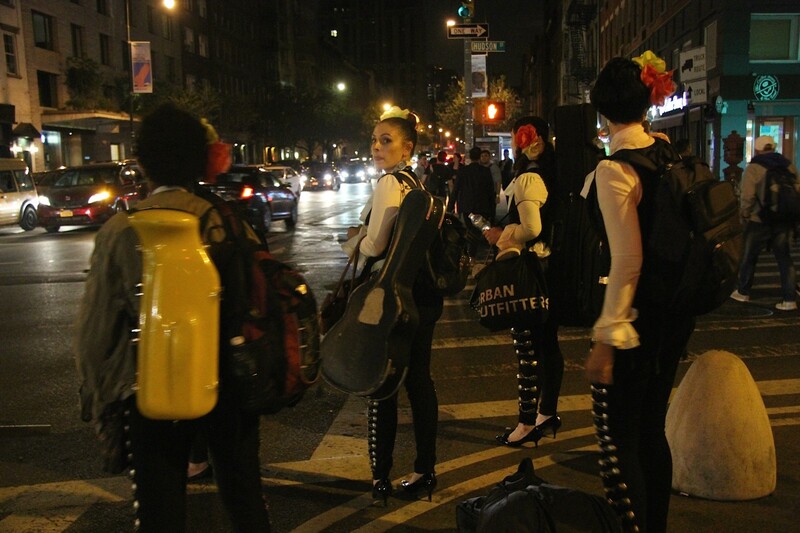 Flor de Toloache is an all-female mariachi band making noise in New York City. The band began in 2008 as a trio, led by Mireya Ramos, but today includes more than 13 rotating members who are as diverse as the music they make. 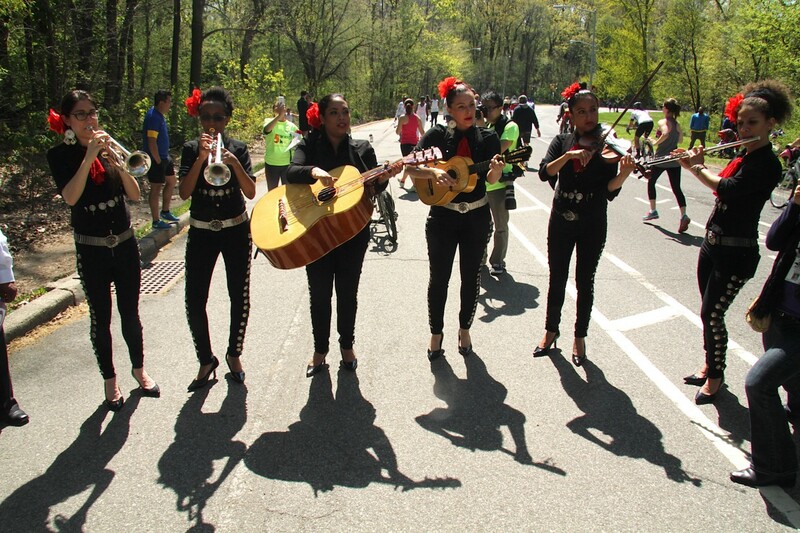 Joining the ranks of famous female mariachi bands of the west coast, Flor de Toloache is the first to mirror the melting pot that is New York City. 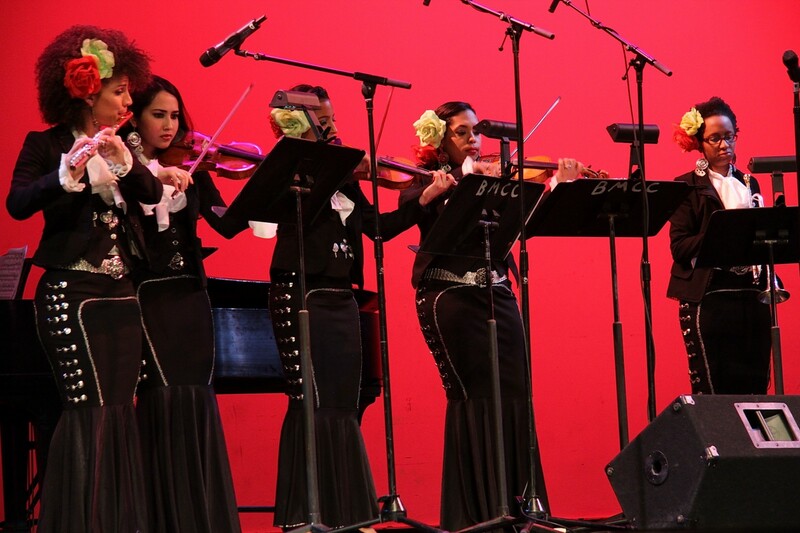 Members come from Mexico, Puerto Rico, Cuba, Dominican Republic, Colombia and even Egypt to create a varied sound that is breaking the mold of traditional mariachi music. “We have a lot of differences in our backgrounds, but we have a lot of similarities so we really get each other musically,” says co-leader Shae Fiol. Foil began busking with the band early on and learned to play mariachi music while performing for crowds on the subway. 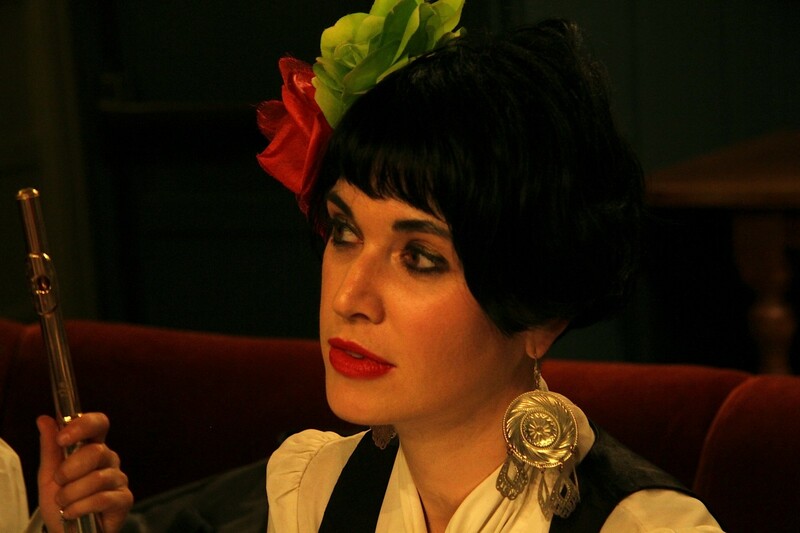 These days Flor de Toloache play several gigs a week and can book up to 20 shows a night for big holidays. 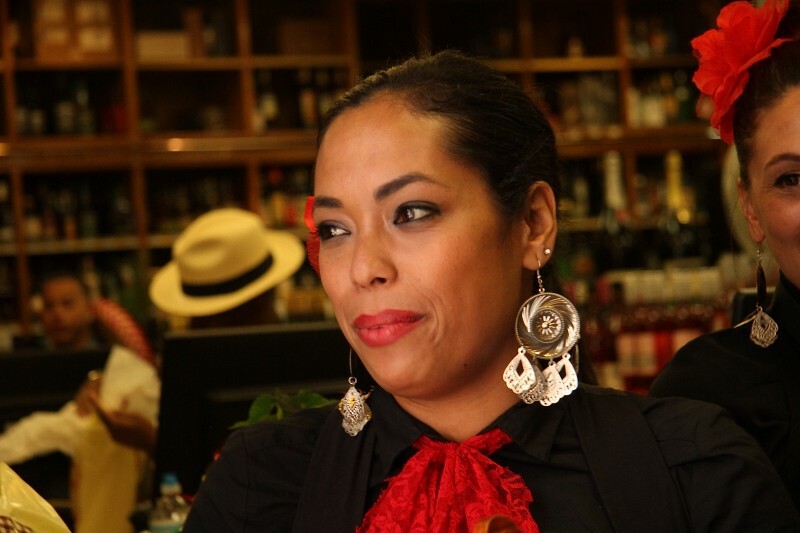 During Cinco de Mayo or Mexican Independence Day the ladies can be seen carrying gear from outdoor festivals to rooftop bars and Mexican restaurants throughout the city. They walk along cobblestone streets and gum-plastered sidewalks wearing heels and traditional mariachi-inspired charro outfits as they flag down taxis. The city streets have become the band’s stomping grounds. 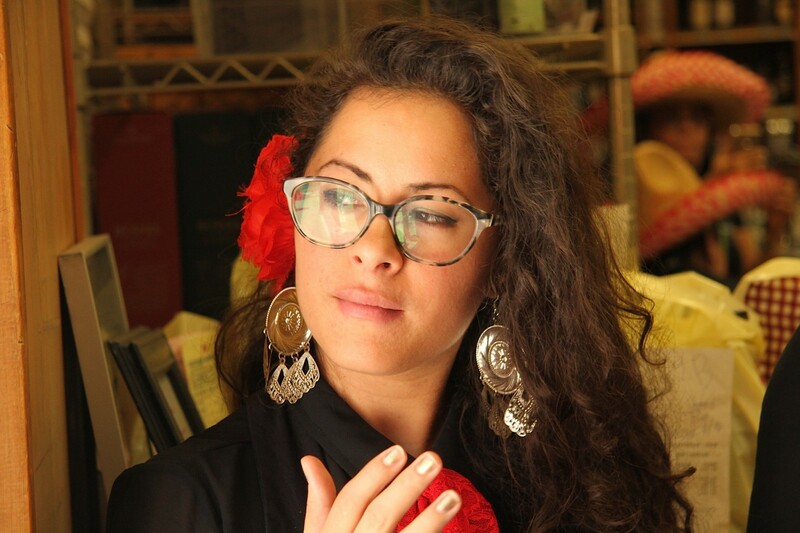 “New York is the perfect stage for us,” says Ramos, whose father passed down the mariachi tradition to her. 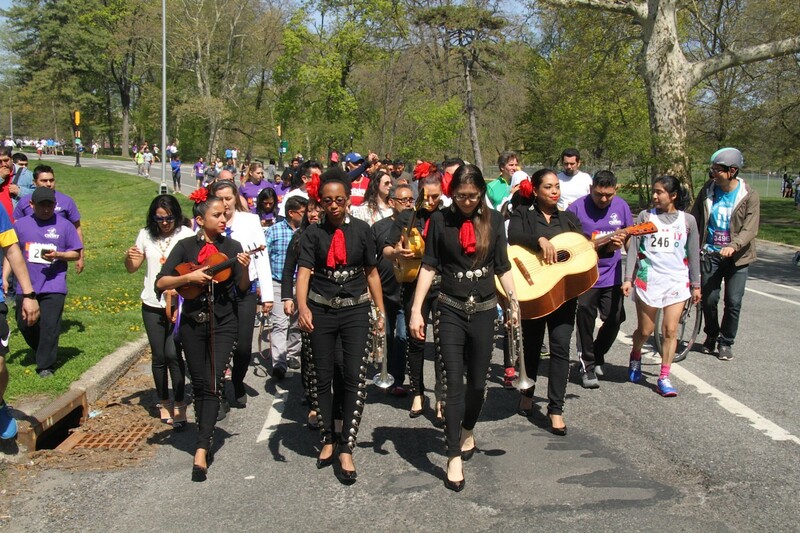 At the annual Cinco de Mayo 5K run in Prospect Park, Brooklyn, this year Flor de Toloache led a procession of runners to the starting line where they were met by New York City councilman Carlos Menchaca. 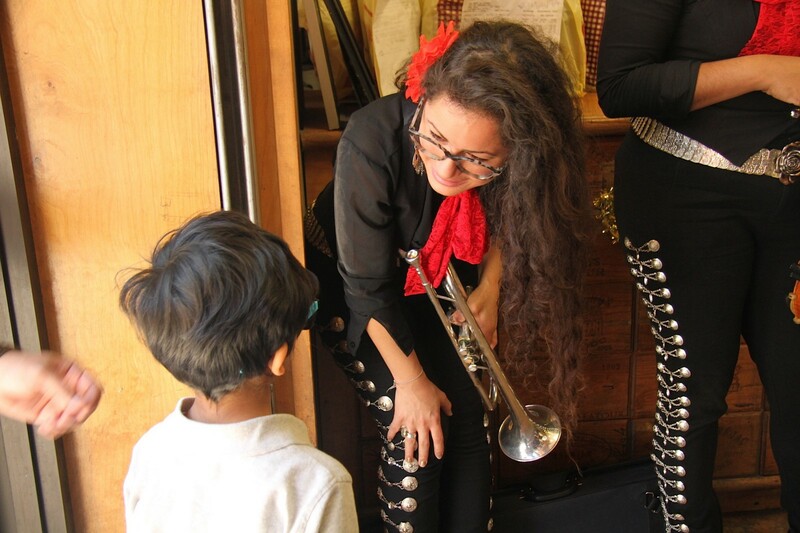 The band is proud to represent the traditional music of Mexico, but also enjoys switching things up to give the music their own signature sound. “Anything that you can think of that sounds good, we’ll incorporate it,” says Fiol. “We recently did an interlude of the traditional song ‘Besame Mucho’ and put Led Zeppelin in the middle of it and mashed it up with A Tribe Called Quest. 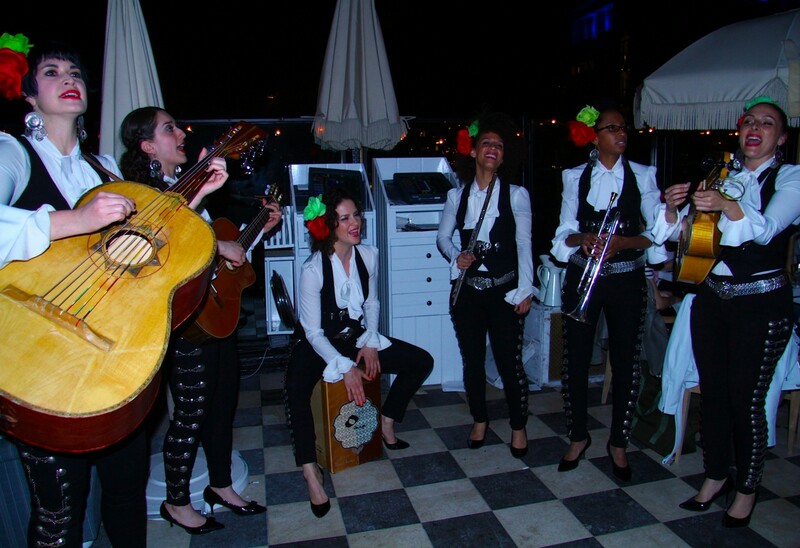 ”While the band maintains mariachi’s musical roots by including the violin, trumpet, guitarrón (the Mexican bass guitar) and vihuela (a traditional five-string guitar), their mix of salsa, Latin Jazz, gypsy and pop has made some traditionalists uncomfortable. See video of Flor de Toloache here. 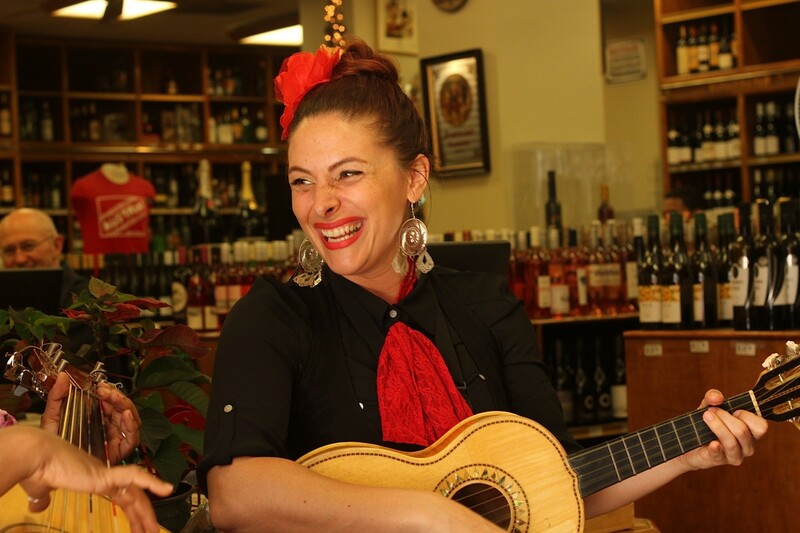 Flor de Toloache says that’s to be expected, but claim their modern take on mariachi has received mostly positive feedback. Their first album, released earlier this year, debuted at No. 2 on the iTunes Latino charts, and the group is hopeful for their first Grammy nomination next year. The band will also visit and play in Mexico as part of an upcoming documentary film, made by director Sonia Fritz. Although the band has performed backup in New York for famous Mexican singers like Ana Barbara, Flor de Toloache will discover firsthand how audiences in the birthplace of mariachi receive them. Until then, they plan to tour the U.S. and continue to make their mark as the one-and-only female mariachi band from the Big Apple. For a list of live performances click here.